will take place on Tuesday, January 15, 2019 from 17:15 to 18:15 hours in CBBM, Ground Floor, Seminar Room B1/B2. p53 is an intensively studied protein, primarily as a tumour suppressor. Besides cell proliferation, p53 also plays an important role in different biological functions including longevity, stress, ageing, and obesity-associated disorders such as hepatic steatosis and insulin resistance. In this talk we will go through some of the lately studies on the metabolic role in different tissues and its physiological implications. The scientific career of Rubén Nogueiras has been focused in the investigation of molecular pathways controlling energy balance. After obtaining his PhD studying the regulation and metabolic function of different peripheral hormones such as ghrelin, resistin and adiponectin, he next explored how the central nervous system controls peripheral metabolism. Now, his team continues to investigate novel pathways by which the brain controls energy homeostasis and also the metabolic role of tumor suppressors like p53 and p63. Rubén Nogueiras did his doctoral thesis at the Department of Physiology at the USC under the direction of Prof. Carlos Diéguez, and he did postdoctoral stays in Germany, Switzerland and the USA. In 2009, he returned to the Spanish R&D system through the Ramón y Cajal Programm. He participates in various international projects and has published over 90 articles. 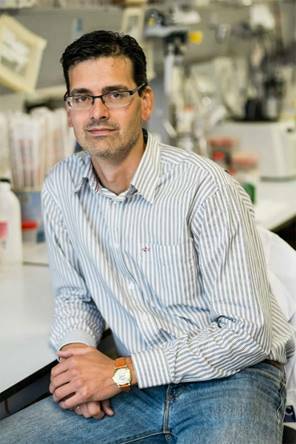 His career has been awarded several times, but the most outstanding awards he has received was the Best Young Researcher for his basic obesity research, presented by the European Association for the Study of Obesity (EASO) in 2009, and the Journal of Molecular Endocrinology Award, presented by the European Endocrinology Society (EES) in 2011.